Why Carolina House to Home? With over 15 years of experience inspecting homes for the disaster restoration industry, Carolina House to Home Inspections in Greer, SC, has a wealth of professional knowledge and a team of certified inspectors dedicated to providing our clients with the best possible service. We believe that integrity and honesty matter, and therefore go above and beyond to ensure that our inspections are not just done, but done right. Scheduling a home inspection is an important step in the home-buying process. When purchasing a house, you’re not only buying that beautiful bay window or stone fireplace—you may also be buying structural defects, lurking mold, faulty wiring, or other problems not obvious to the untrained eye. Home inspections help buyers identify any issues their dream home may have up front, avoiding potentially costly problems down the road and providing invaluable peace of mind. At Carolina House to Home Inspections, we understand that buying a home is likely one of the largest investments you’ll ever make—we don’t take that lightly. Our trained inspectors will investigate every inch of the home from roof to foundation, providing you with a thorough same-day report and notifying you immediately of any issues that need to be addressed. We pride ourselves on our quality service are happy to answer any questions you may have during the inspection process. 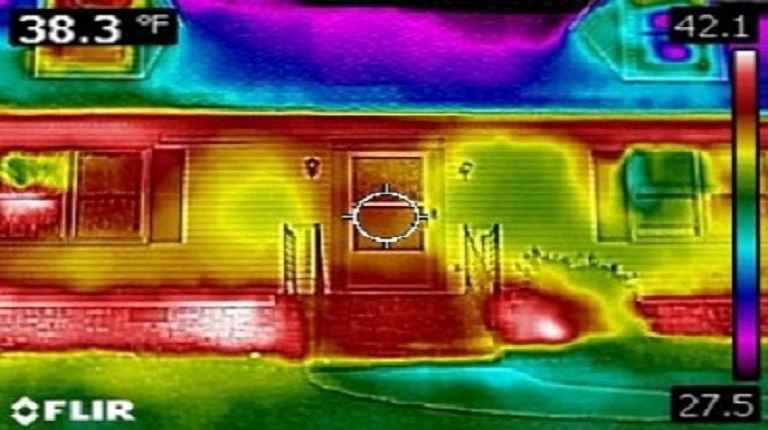 Thermal imaging, a home energy report, and email/phone follow-up support are included free with every home inspection! In addition to residential inspections, we also offer both mold and radon inspections. There are thousands of different types of mold, ranging from the allergy-inducing penicillium (often found on water-damaged wallpaper, decaying fabrics, carpet, and fiberglass duct insulation) to the toxic black mold stachybotrys that can bloom in excessively damp nooks and crannies. Mold is a nasty guest to have in your home, and just because it’s not visible that doesn’t mean it’s not there. Mold spores can trigger symptoms like stuffy noses, wheezing, and itchy eyes and skin. They can even cause fever and difficulty breathing in the case of people with severe allergies or asthma. If anyone in your home is experiencing these symptoms but you’re unable to discover where the mold is growing, it’s a good idea to have a certified professional test your home for mold. Once found, the mold can be removed properly and any unpleasant symptoms should disappear quickly. Radon—a radioactive gas that has been known to cause cancer—is created when uranium breaks down in the soil, rock, and water underneath the ground. It is invisible and has no discernible smell, making it impossible for us to detect without special equipment. That makes radon especially dangerous, as you could be breathing it in regularly without even noticing. Homes in Greenville and Spartanburg counties have been shown to possess particularly elevated radon levels, and we recommend homeowners in these areas have their houses inspected to make sure everything is in order. There are no short-term symptoms associated with radon exposure—typically, problems manifest years down the road. Having your home tested professionally is the only way to determine how much radon is present and prevent health issues from arising in the future. If the inspection reveals a level of radon deemed too high for safety (anything at or above 4 pCi/L), a radon mitigation system can be installed in your home to reduce the level of dangerous gas in the air. Call or text 864-640-2735 to schedule an inspection or schedule below and we’ll get back to you as soon as possible!